Long weekends are so amazing. I wish every weekend was 3 days. Whose idea was it to create a 5-day work week and a 2-day weekend?? What kind of balance is that? I had a wonderfully long, relaxing weekend. My mom was in town, The Pilot didn't end up working on Thanksgiving, and it was a great weekend. I got out of work early on Wednesday and ran a few errands before heading home to do some cleaning and baking before my mom came in. Thursday morning, we woke up and made mimosas and warmed up the cinnamon rolls I had made before while watching the parade. I loved the parade this year (as always) and loved the performances by the casts of "Something Rotten" and "Finding Neverland." After the parade, we made our way to Woodley Park for a trip to the National Zoo. 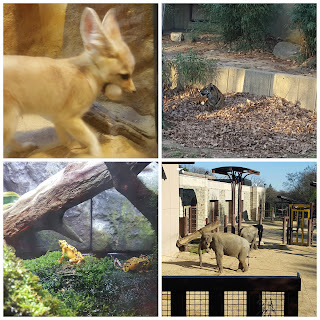 All of the Smithsonian museums are open on Thanksgiving and it was a gorgeous day in DC, so we took advantage of the warm weather to spend the day outside at the zoo. From the zoo, we made our way to dinner. This year, I made us reservations at 701 in Penn Quarter and dinner was fantastic. The Pilot was on call all day and we were all worried that he would get called in as soon as we sat down to eat, so we were all thankful that that didn't happen! 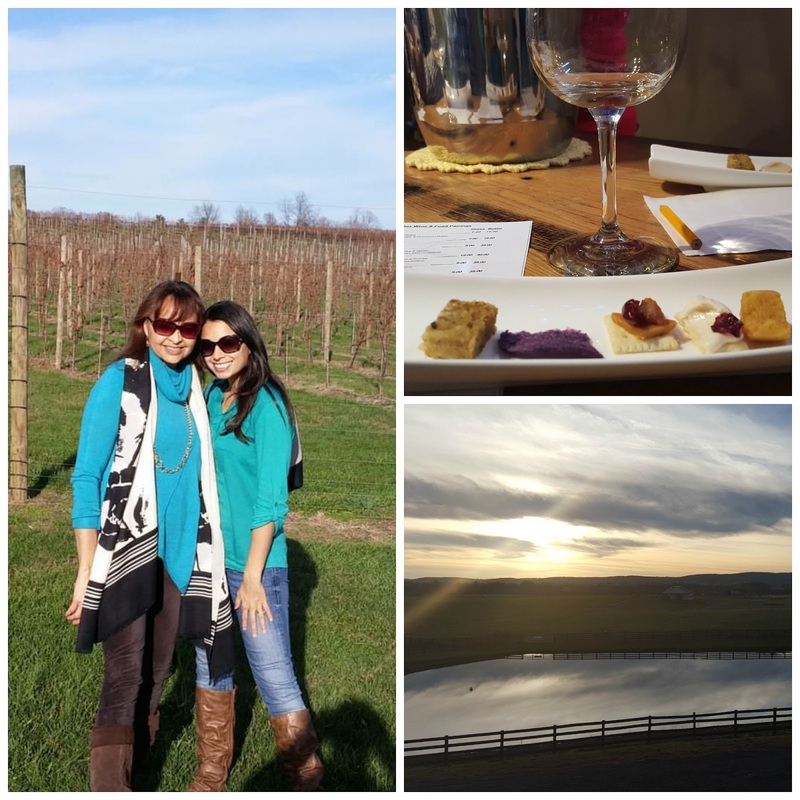 Friday morning, we woke up, had some leftover cinnamon rolls and then made our way out into Virginia to visit some wineries! 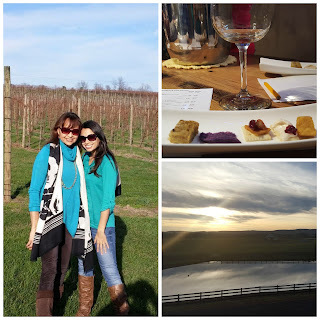 My mom has been wanting to visit the VA wineries since we moved out here, and it was so warm in DC on Friday that we couldn't pass up the opportunity! We visited two wineries - Fabbioli Cellars (which I had been to before) and Winery 32. At Winery 32, we ordered lunch and spent the afternoon on their patio enjoying the scenery. My mom left on Saturday morning and The Pilot and I did some stuff around the house before heading out for the day to meet up with some people. 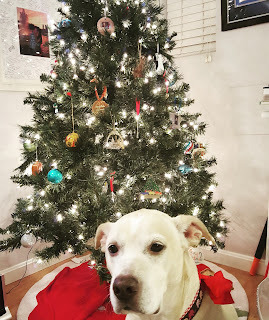 Sunday, we slept in, made breakfast together, stayed in our PJs until well after noon, and put up our Christmas tree. It was a pretty perfect end to the long weekend. Did you go shopping? Are you after any Cyber Monday deals today? This is the third consecutive year that I'll be going out to dinner for Thanksgiving. When I tell people this, I'm met with some really mixed reactions. "We can squeeze you in for dinner!" "Why don't you come to my house?" Don't get me wrong, I appreciate the invitations to friends' Thanksgivings, but I like going out to eat. 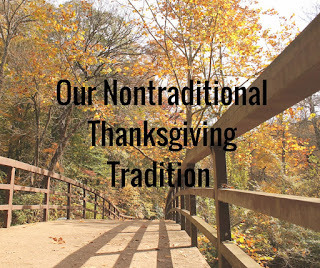 Thanksgiving has never been a big tradition in my family. I honestly don't have any Thanksgiving memories growing up. It's not that we never celebrated it, it just wasn't really a big holiday for us the way it is for a lot of people. Growing up in Texas, we used to spend the holiday with a friend of my mom's. I don't really remember what we ever did after we moved to New Jersey. For the last three years, my mom has come to DC for Thanksgiving. We've woken up, eaten cinnamon rolls and watched the parade while drinking mimosas. 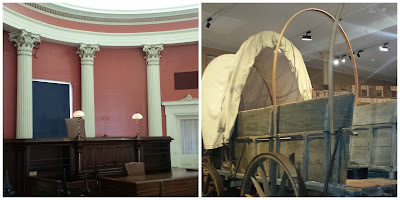 We head to the National Mall and visit one or two of the museums and then we go out to dinner. One year, we went to Lincoln. Last year, we went to Jackson 20 in Old Town. This year, we're trying somewhere new. I love this tradition. This year will be Year 3 and I wouldn't change a thing. It would be better if The Pilot could join us, but I love it. As much as I love to travel, and as much as I love to cook, I like our Thanksgiving just the way it is. When friends and co-workers find out what my Thanksgiving plans are, a lot of them feel bad, but I can tell you, there's absolutely no reason to. Sure, we don't have the most traditional Thanksgiving, but I wouldn't have it any other way. 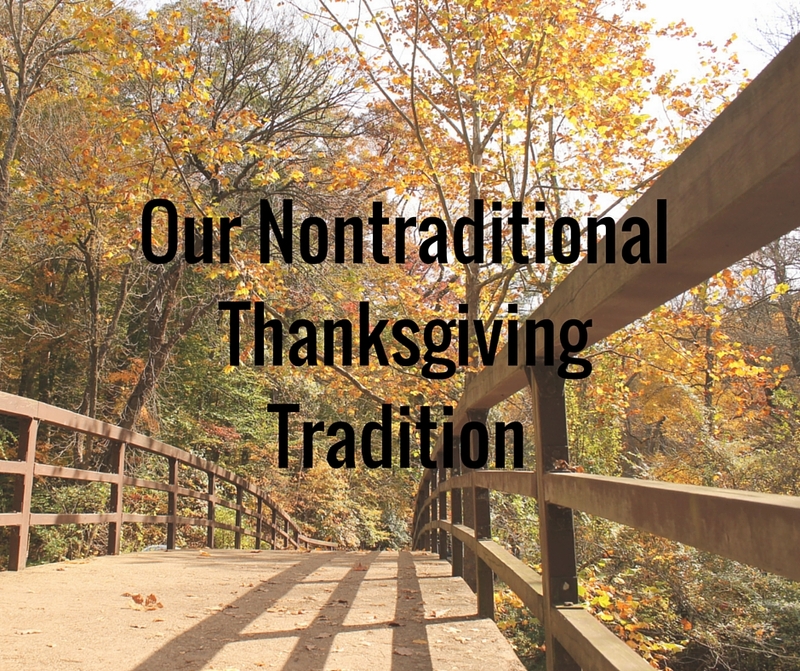 Is there a holiday that you celebrate somewhat nontraditionally? Have you ever gone out to eat for a major holiday? Good Morning friends! Since I completely disappeared from social media last week, I thought we'd have a coffee date and catch up! I'm drinking a cup of home brewed coffee and eating some pumpkin banana bread that I whipped up last night while getting ready for work. I came home from St. Louis with a terrible cold. I stayed home from work on Monday but didn't really start feeling better until Thursday. I still have a bad cough, but am otherwise on the upswing. I would tell you that work has been crazy. I work in nonprofit fundraising so it's my busy season, but busy hasn't even covered it. I didn't eat lunch until 4:00 on Wednesday! I would tell you that my mom is coming down for Thanksgiving. We're sticking to our new-ish tradition of watching the parade, visiting one of the museums, and then going out to dinner. The Pilot may or may not be flying. I'm excited for another low key Thanksgiving with my mom in town. I would tell you that I spent all day yesterday doing stuff around the house, doing some baking, and watching The Food Network and now I want to bake every day for the rest of the year. I seriously LOVE baking. That's really all that's going on with me! How are you spending Thanksgiving? Are you traveling? Cooking? What's on your menu? 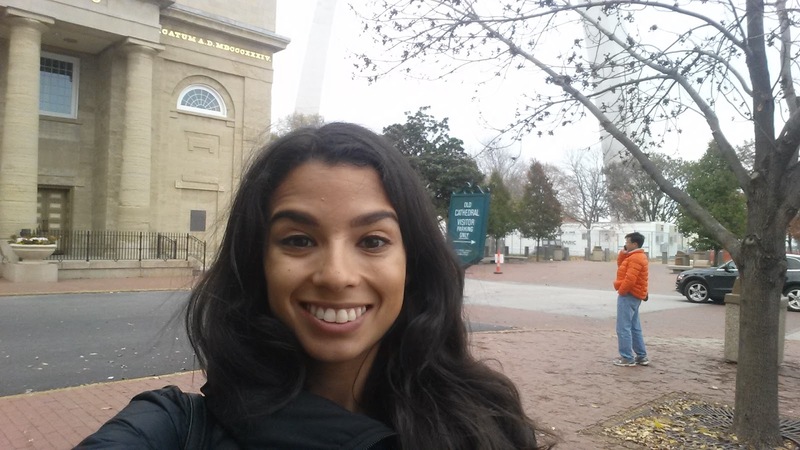 Last week, I headed to St. Louis for a conference. 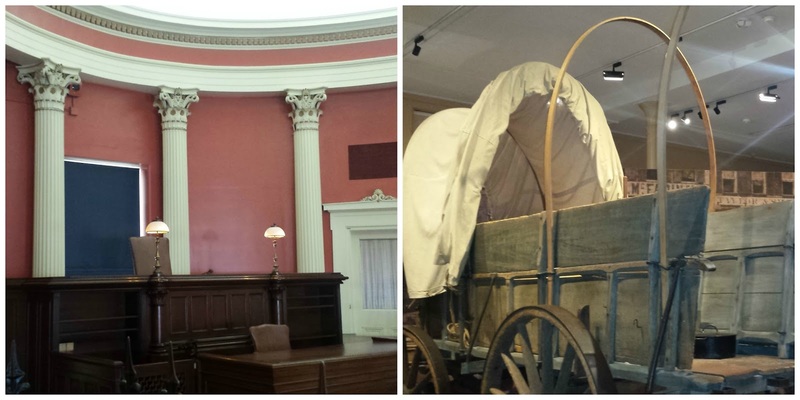 The conference didn't start until Thursday morning so I flew in early Wednesday and spent the day exploring. It was a cloudy, overcast day, but I was staying right downtown so I took advantage of being right in the middle of everything to try and see as much as I could! The conference was scheduled for Thursday, Friday, and most of Saturday morning, but I tried to fit in as much exploring as I could! So as soon as I got off the plane and checked into my hotel, I grabbed some breakfast and a cup of coffee and headed out to see as much of the city as I could! First up, The Gateway Arch - The Gateway Arch is one of the most iconic monuments in the country and it didn't disappoint. Towering over the city, the Arch is built so that no matter which way you're looking at it, you still have the ability to look through it. 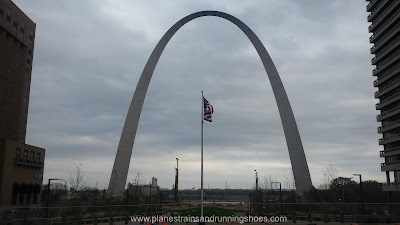 I couldn't help taking a snapshot of the Arch from a dozen different angles at every time of day! The Arch just celebrated its 50th anniversary two weeks ago and several people had told me it was a must to go to the top of the Arch. I was shocked when I got there to realize that I wouldn't be taking stairs or an elevator up, I'd be taking a teeny, tiny little tram that takes you the 3-minute ride up to the top! The view from the top offers a great view over the Old Courthouse, the City Garden, and Busch Stadium. 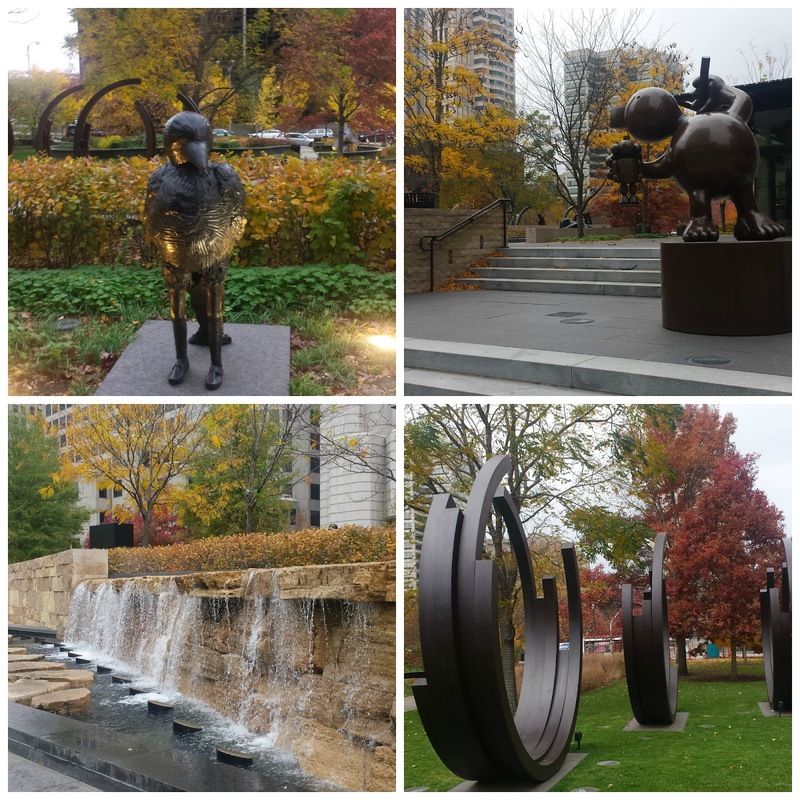 City Garden - This public sculpture garden in the middle of the city is perfect for walking around with a cup of coffee, which I grabbed from 6 North Cafe. Busch Stadium - Of course I couldn't take a trip to St. Louis without taking a tour of Busch Stadium! I actually didn't think I was going to have time for it, but I landed Wednesday morning with enough time to spare before the 12:30 tour. The Cardinals' Stadium is one of the eight remaining ballparks I have yet to visit. When I walked into the stadium, I thought, "Here we go, Ballpark #23" but after the tour, I don't think it counts as much. I've taken tours of Nationals Park and US Cellular Field, and in both of them, we saw the whole stadium. The tour of Busch was great and really dived into the history of St. Louis baseball, but we didn't leave the area behind home plate. 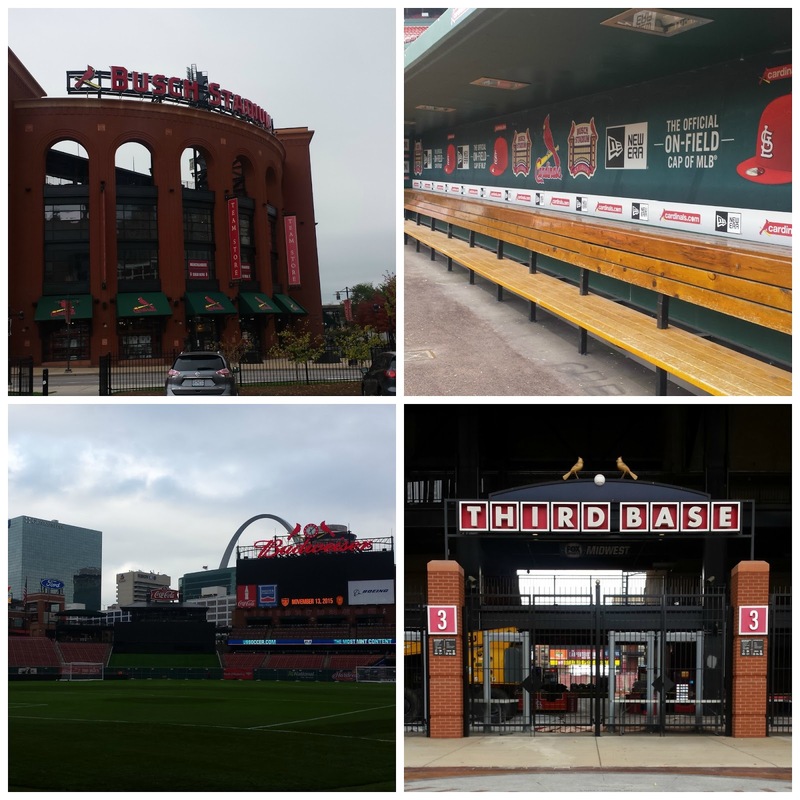 We saw the Cardinals Club and the Redbird Club (aka places that I will never sit in at a baseball game), went onto the field and into the dugout, and visited the press box, but I didn't really feel like I saw the stadium, so that was a little disappointing. After my day of sightseeing, I went for a run and got caught in a downpour a mile from my hotel. It was super cold out and I'm pretty sure that that mile run is the reason I'm now nursing a really bad cold. I brought my phone along on my run and snapped some pictures along the way. 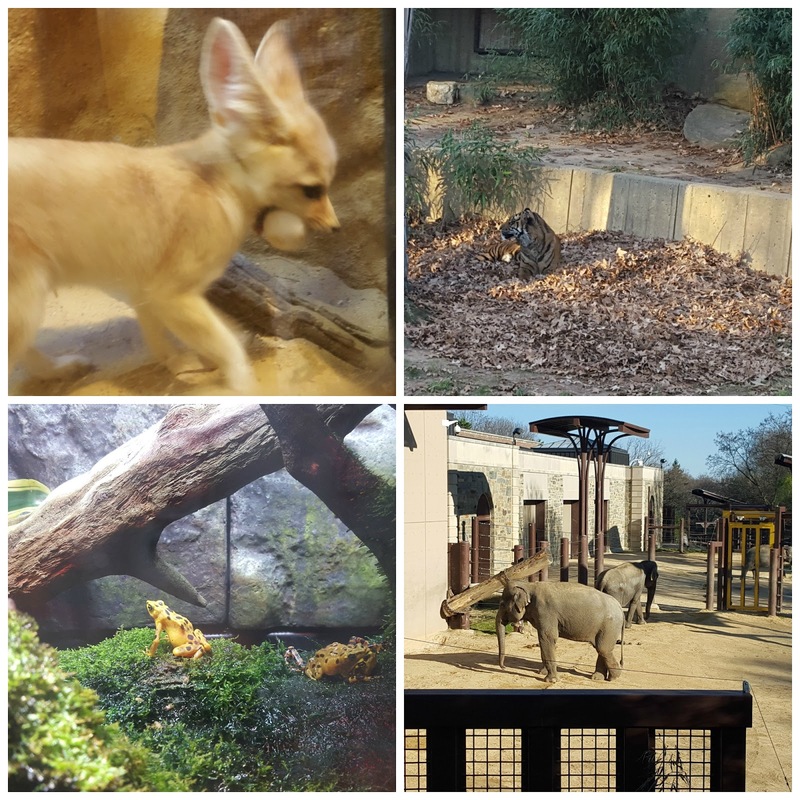 That wrapped up my first day in St. Louis, but here are some other things I did while I was there. Central West End - Sara recommended CWE as a great neighborhood for dinner and I made my way there on Thursday after the conference for dinner. I ate at this adorable little restaurant called Wildflower and sat at the bar. The food was incredible, the bartenders were really nice, and the chef even came out to say hello. 360 - the rooftop bar at the downtown Hilton, with gorgeous views of the Arch. 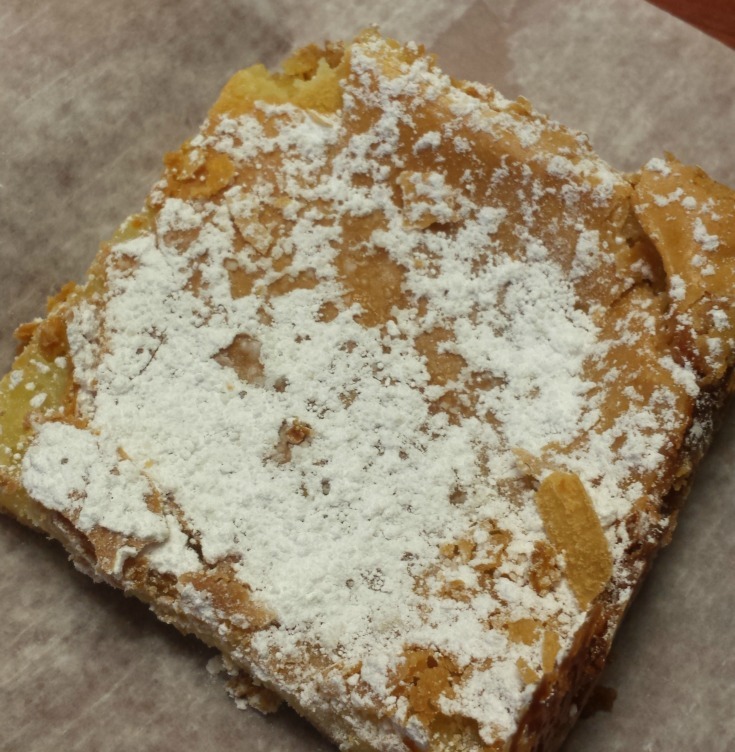 Gooey Butter Cake - I've seen this stuff all over Pinterest and never knew it was a St. Louis treat until I was there, so of course, I had to try it! 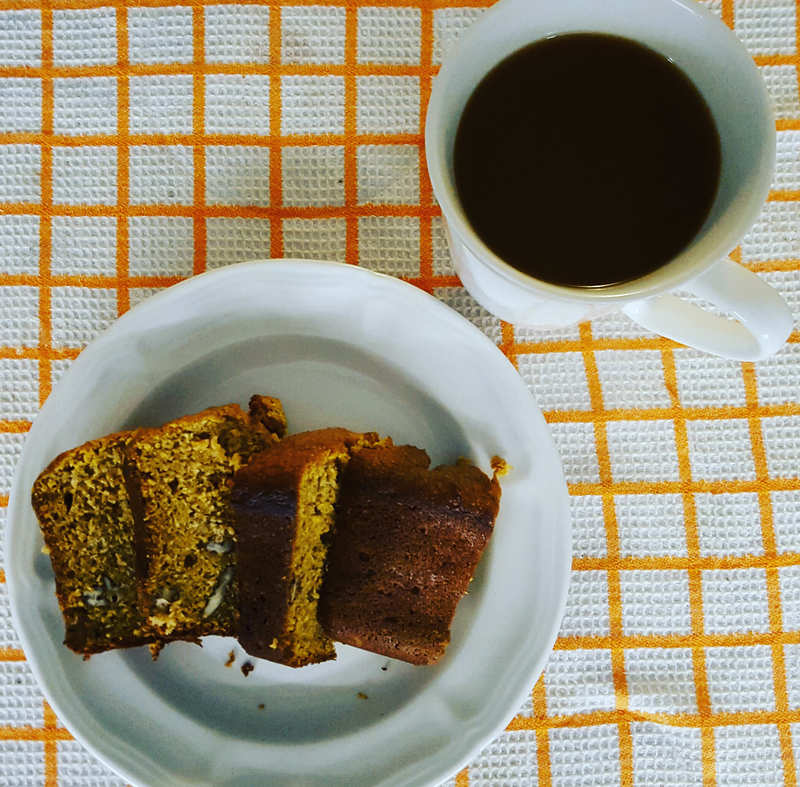 I stopped by Park Avenue Coffee for a slice of the traditional cake and I wasn't disappointed! I can't wait to try out one of those Pinterest recipes! Laclede's Landing - St. Louis's historic district with a bunch of bars and restaurants. Venice and Frazer's - Sara and I met up on Friday night for drinks at Venice (such a fun, eclectic bar!) and dinner at Frazer's (incredible cheese plate, even better food!) in Benton Park. 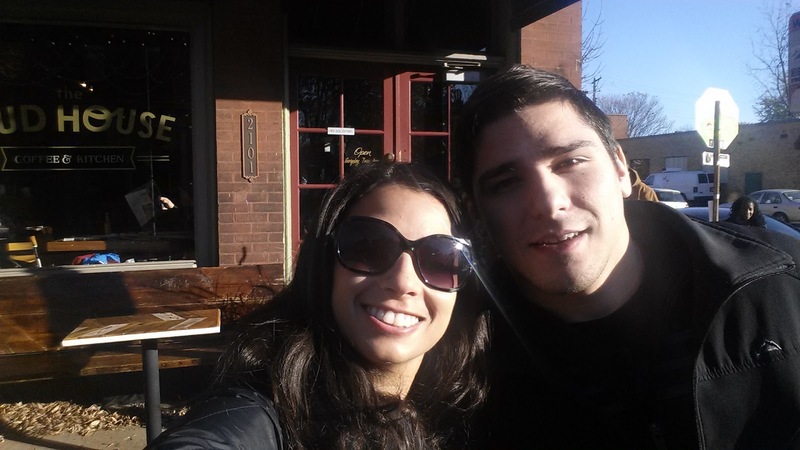 We had an amazing time catching up and I loved that she showed me her favorite parts of St. Louis! Mud House - I found this place because it was the only thing open at 7 am on Saturday. My brother called me Friday night because he was road tripping to Chicago with his team and due to arrive in STL around 7 am so of course, we met up for breakfast before he dropped me off at the conference and hit the road again! Mud House is a cheap, counter-service, breakfast spot with exceptionally good food and coffee. I fell in love with St. Louis and I will definitely be back! There were some things I didn't get to do that I would have loved to - the Budweiser Factory, Forrest Park, and the City Museum -but I just didn't have time. Have you been to St. Louis? If you haven't been there, do you think you'd visit now? In... St. Louis! It's my first time here and this city is kind of awesome! Feeling... like myself again. I ran for the second time after Chicago yesterday and it was great. 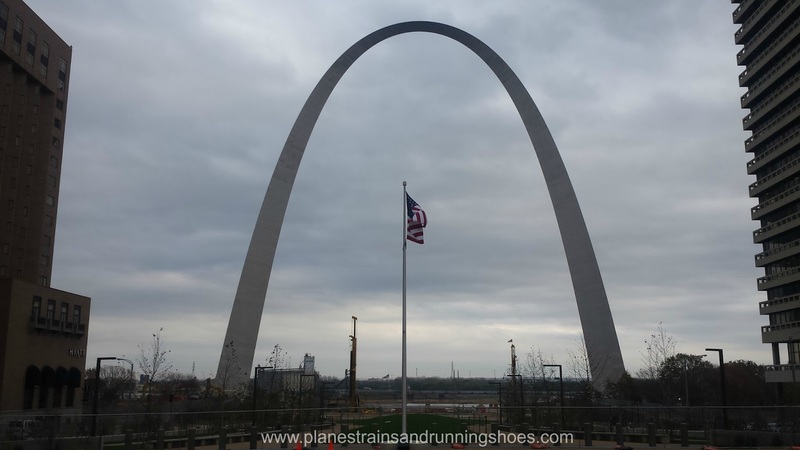 3 easy miles touring St. Louis and getting caught in the rain...it felt great to be running again and I know that taking a month off was the best thing for me. Reading... "The Sun Also Rises" by Ernest Hemingway. Watching... "Once Upon a Time" and "Master Chef Junior." MCJ premiered on Friday. I freaking love this show and am constantly amazed at what these children can do. An 8-year-old made a burger using two different kinds of meat...I've never even heard of that. I also cry every time they do. Thinking about... blogging. I've had this blog for 5 years now and I definitely haven't been able so spend as much time with it this year as I would like. (Case in point: It took me almost 2 months to get my Lisbon and Hawaii posts up). Last night, I listened to the Blogging, Business and Balance webinar by Helene and Taylor and it was awesome! I definitely learned a lot of tricks to balance working full time with blogging. Needing... to get a new passport. My passport is the only thing I haven't changed my name on. 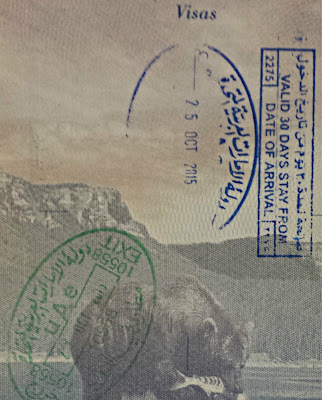 I was holding out because, for two years, I've had ONE empty page in my passport that no country would stamp and I finally got the last page filled in Dubai last month. The problem is...I'm so terrified of not having a passport for a few weeks that I don't want to do it. Wanting... to go to Germany and see the Christmas markets. The Pilot hasn't gotten his December schedule yet so it's up in the air whether we'll be able to go or not but it's high on my list for the end of this year! Working on... my blog redesign. I'm hoping to have it launched by the end of this month! Loving... Junior League. I've made some awesome friends so far and I'm loving my first year! Alright your turn! Pick three of the above 'Currently...' items and let me know what they are for you! 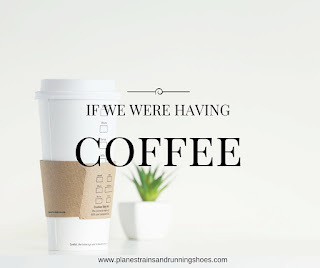 I'm sitting here enjoying a cup of home-brewed French Roast coffee so I thought I'd write a coffee date post to catch you all up on what I've been doing. 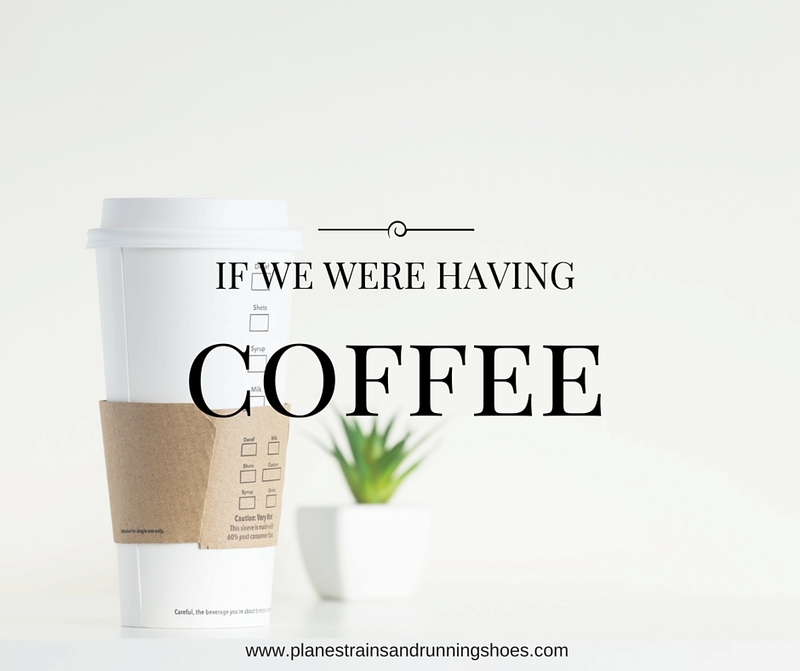 If we were having coffee, I would tell you that I've only run once since Chicago. Training was tough, and the race was equally hard. I didn't mean to take this much time off, but I just haven't felt like running. I need to start thinking about my training strategy for 2016 and then build my races around that, and that means, getting back on the road and in the gym soon. I would tell you that I went home this weekend to see my mom for her birthday. I honestly can't remember the last time I went home and it was so good to be there. Due to a delayed flight, I got in really late on Friday and we were up super early Saturday morning to drive to New York for a special friends and family screening of the new Peanuts movie! My cousin, Jen, works for Blue Sky Studios and got to work on the film! If you're a Charlie Brown fan, see this movie, it didn't disappoint! 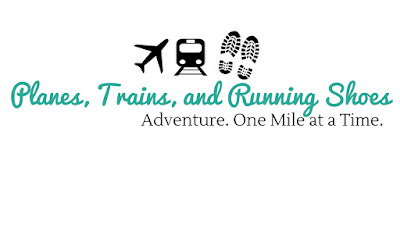 I would tell you that I've started working on my blog design, except I've run into a little hiccup with the template I bought and the color scheme. If anyone out there can help me with some HTML stuff, please let me know! I would tell you that I'm starting to think a lot about 2016 and what it's going to look like. I would also tell you that I'm really annoyed that I saw my first Christmas commercial before Halloween. I'm heading to St. Louis this week for a conference. I've never been there before so if anyone has any recommendations for restaurants or things to see, let me know! What are your thoughts on Christmas coming early? Has your tree been up for weeks or do you wish the holiday season actually took place during the holiday season? 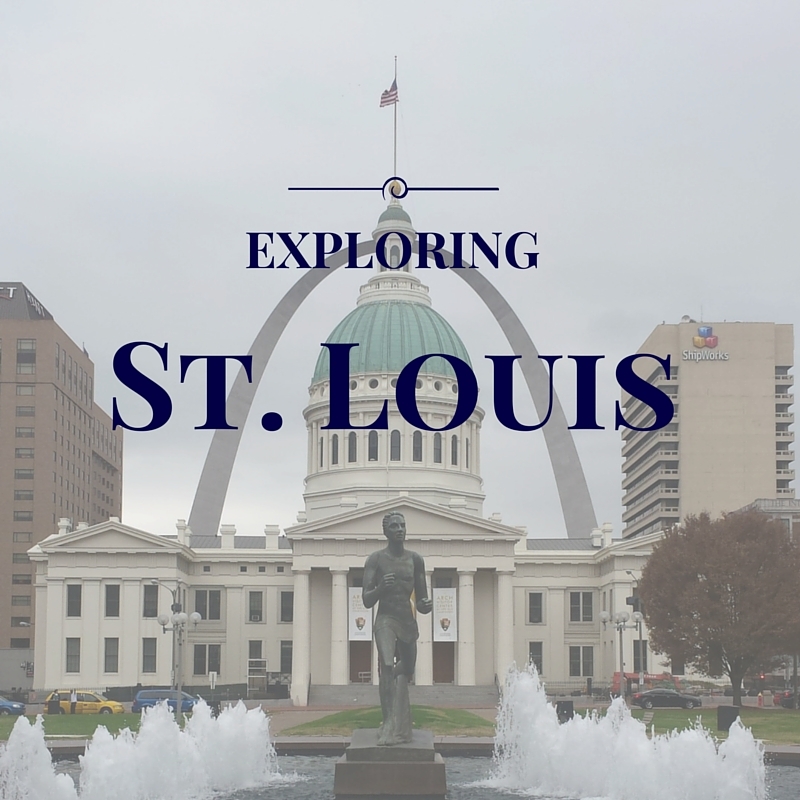 Have you been to St. Louis? What should I see or do there? Dubai is an incredible place. Rooted in tradition, culture and history while boasting an impressive array of Western influence, Dubai is quickly becoming the centerpiece of the world. Everything in Dubai is the biggest/best of its kind...the tallest building in the world, the tallest commercial building in the world, the best hotel in the world...there isn't anything there that wasn't built to impress. 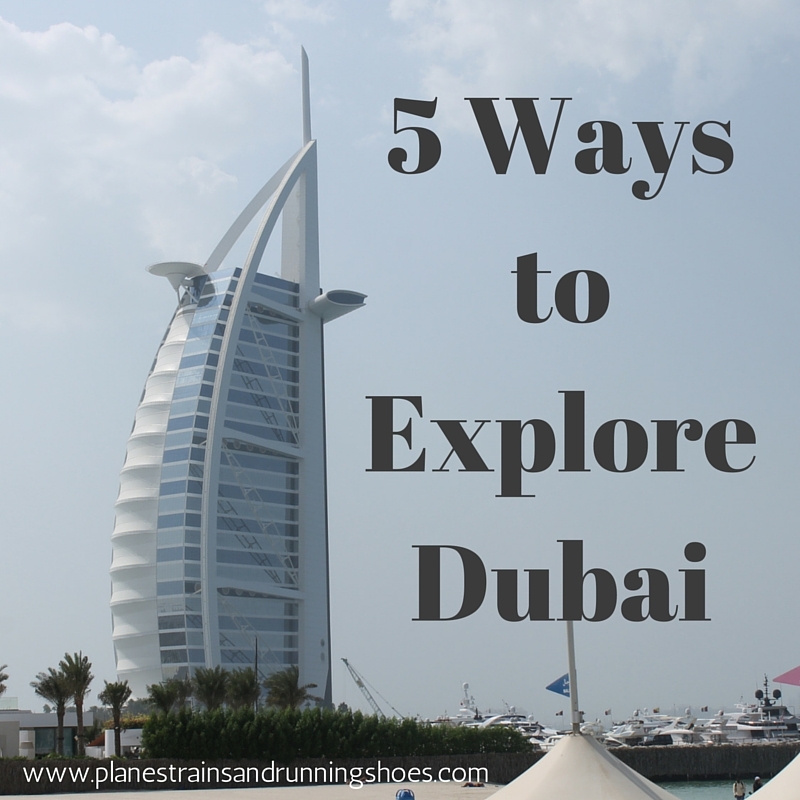 I wasn't in Dubai for very long, unfortunately, and there's a lot that I would love to go back and see, but I've pulled together a list of the five things that I think any trip to Dubai should encompass. 1. 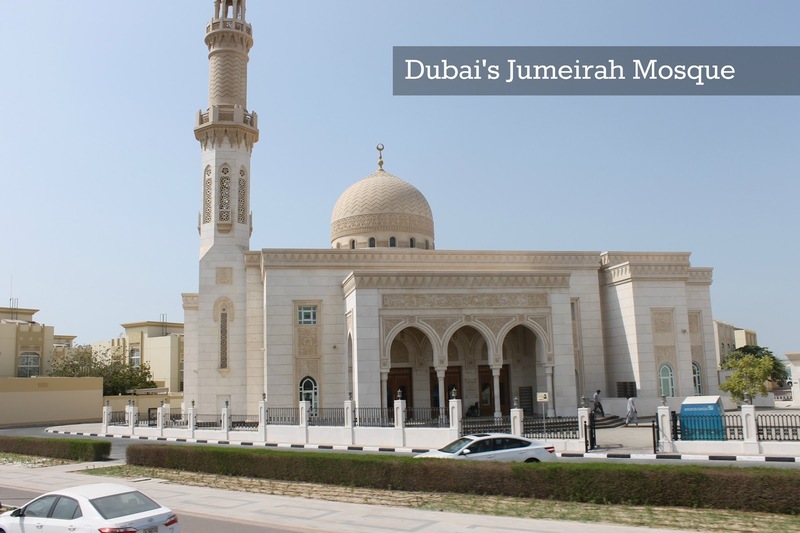 Visit the Jumeirah Mosque - The Jumeirah Mosque is the only mosque in Dubai that is open to non-Muslims. Sheikh Mohammed, Vice-President and Prime Minister of the UAE, opened the Sheikh Mohammed Centre for Cultural Understanding to educate tourists and expats (Nearly 90% of Dubai is comprised of expats) about Emirate traditions and culture. 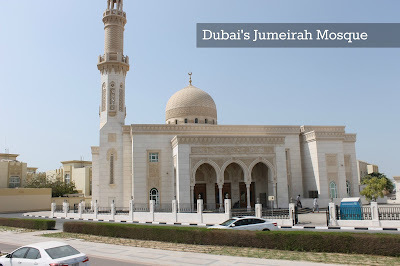 You can visit the Jumeirah Mosque and learn about Islam. I found it fascinating to learn about the rituals associated with the call to prayer and I loved hearing the call emanating from one of the nearly 1,500 mosques in Dubai as I made my way through the emirate. One thing I didn't get to do that I really wanted to was to participate in one of the SMCCU Cultural Meals, where you can have share a traditional Emirati meal with Emiratis and engaged in conversation about their history and culture. 2. 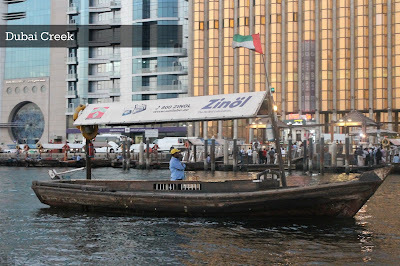 Ride an abra boat across Dubai Creek - Abra boats have been transporting people across Dubai Creek since Dubai was just a tiny finishing village. 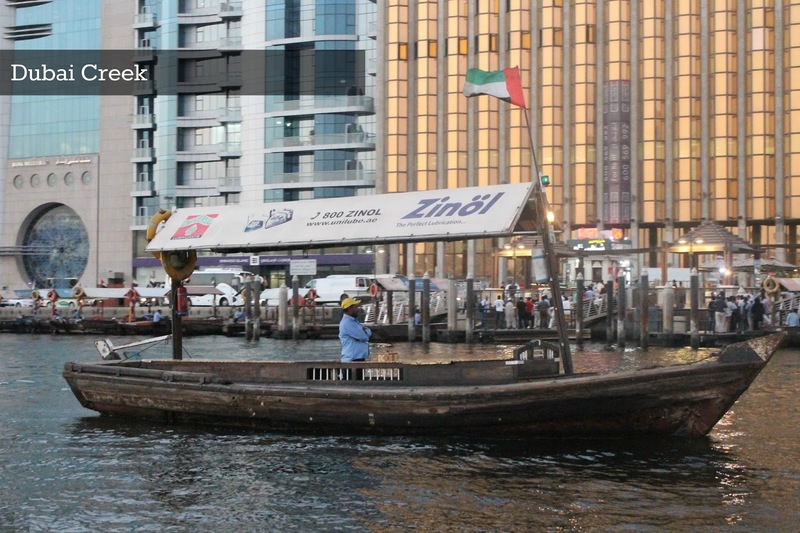 For AED 1 (rouglhy 27 cents), you can take the short ride in an abra boat across Dubai Creek to visit the famed gold or spice souks in Old Dubai. 3. 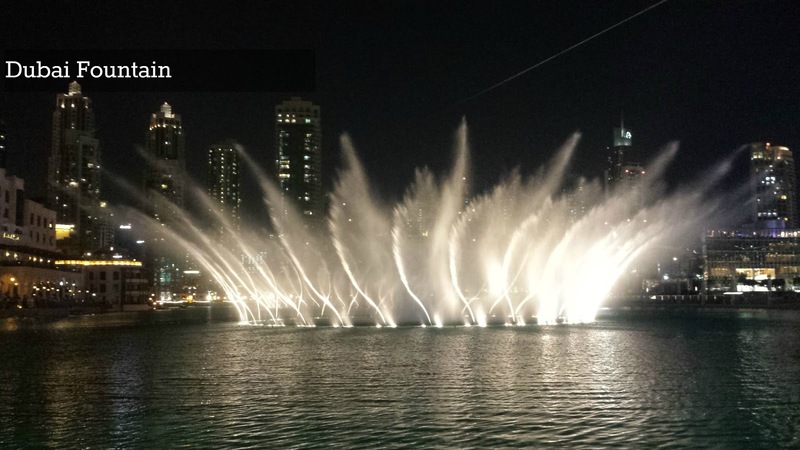 Watch the Dubai Fountain at night - Designed by the same team that designed the fountain at the Bellagio in Las Vegas, the fountain at the Burj Khalifah was made to make the Bellagio fountain look like your backyard sprinkler. With jets that shoot up to 500 feet in the air, the dancing fountain is definitely impressive. As my flight out of Dubai took off, I could actually see the fountains from the air. The fountain show takes place every 30 minutes. I recommend watching it a few times from a few different angles. 4. 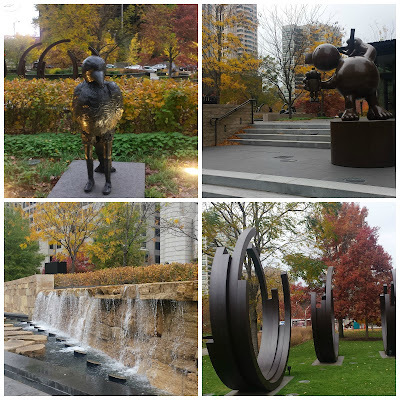 Take a hop on/hop off bus tour - I know that these tours aren't popular with more seasoned travelers, but they offer such an easy way to get around a city and see things while learning about them. The Pilot and I did the tour on our last day in Dubai and I really wish we had thought to do it on our first day. We took a City Sightseeing bus, but they offer virtually the same route as the Big Bus tour. 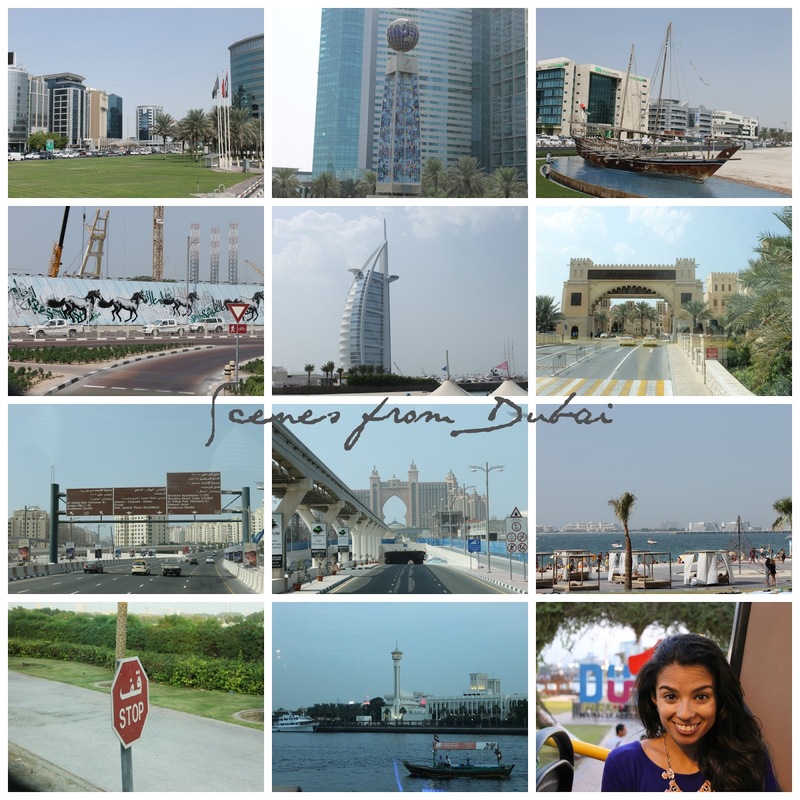 Dubai is a sprawling place and with the limited time we had there, this was the best option for us to really get a feel for the city. 5. Have Tea at the Burj Al Arab - This is the one thing I didn't get to do in Dubai that I'm most disappointed about. One of the most popular things to do in Dubai is to visit the top of the Burj Khalifah, the tallest building in the world. 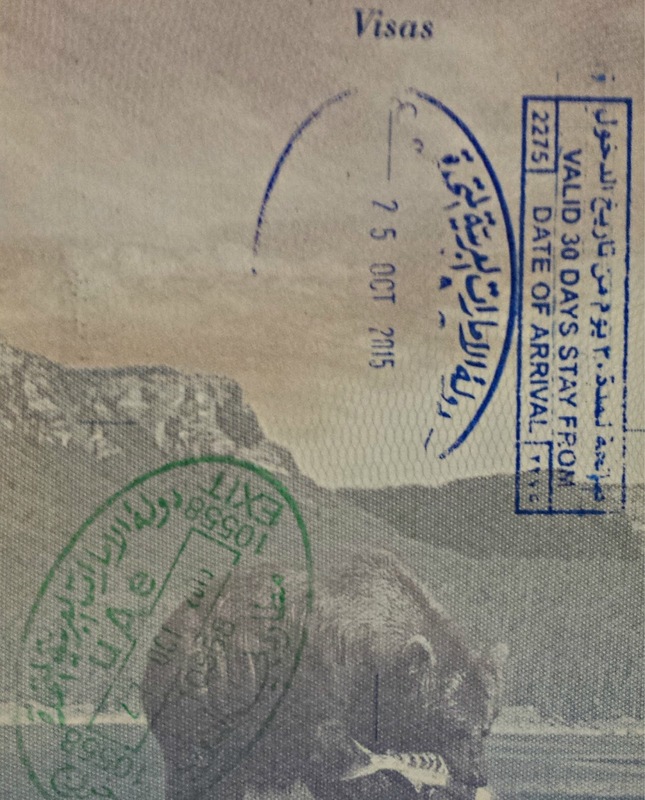 At 300-500 AED ($80-$130) though, the cost is prohibitive. The Pilot and I opted to skip the view from the Burj Khalifah not only because of the steep price, but because the view you really want to see is of the Burj Khalifah. The Burj Al Arab is the world's only 7 star hotel. At AED 990 per night ($2750), this hotel oozes luxury. Located on a private island, the only way onto the premises is with a room reservation or a reservation at one of the restaurants. For AED 620 ($168), just a little more than the admission price at the Burj Khalifa, you can have tea at the Skyview Bar and still get an amazing view of Dubai while visiting the most luxurious hotel in the world. We weren't able to do this because you have to book well in advance, and, unfortunately, our last minute trip to Dubai didn't afford us this opportunity. Luckily, our hotel still offered a pretty incredible view of that gorgeous skyline. 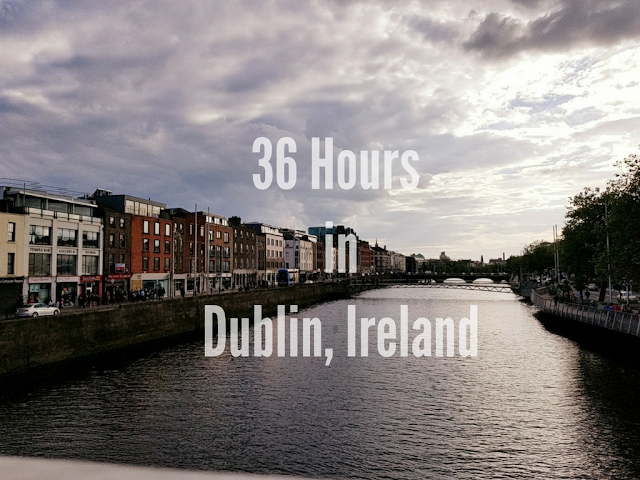 With our last two trips (Hawaii and Dubai), The Pilot and I have really pushed how far we're willing to travel for a long weekend. Hawaii was an 11-hour flight and Dubai was 13. Dubai was actually pretty easy to do. We lost a day on the way there and gained a day on the way back, making this short trip totally doable! Our flight landed around 7:30 in the morning. We checked into our hotel in Deira, which is near both the airport and Old Dubai, and headed out to explore. Assuming that Dubai was like every other city, we headed "downtown" toward the Burj Khalifa. Unfortunately, Dubai doesn't really have a "downtown" and heading to this area really just brought us to the Dubai Mall, but we made the best of it! We stopped in the Mall and had a quick bite to eat before heading outside to explore. The Burj Khalifa is the world's tallest building. 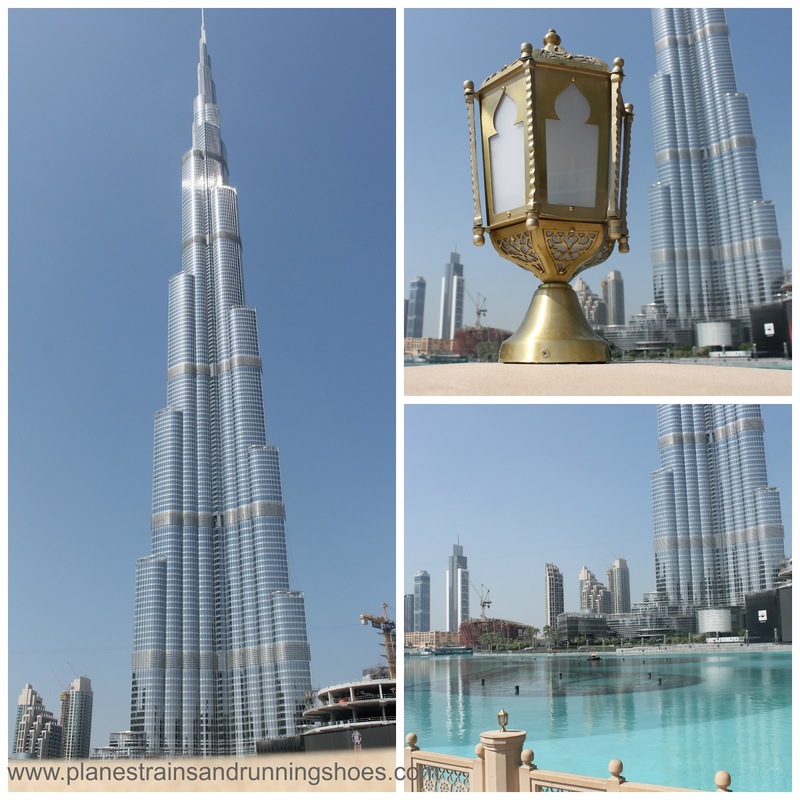 It sits at the base of the Dubai Mall surrounded by the Dubai Fountain and the Souk al Bahar (home to one of the many Shake Shacks in Dubai). It seems obvious to say, but that building is tall. It shoots straight up into the sun and looking up at it on a bright, sunny day, makes you feel like you're staring straight into the sun! We wandered around the Souk and the Mall a bit before hopping into a cab and heading to the Jumeirah Mosque. There are nearly 1,500 mosques in Dubai and this is the only one open to non-Muslims. When we got there, we were greeted by the staff and invited to share some camel's milk ice cream and relax a bit before we could go inside the actual mosque. I was given an abaya to wear inside the mosque and asked to cover my head (the only time I needed to do so while in Dubai) and we went inside. The mosque is beautiful. It's very simple, but still a beautiful place for worship. We left the mosque and headed back to our hotel for dinner. By this point, we had been awake for nearly 36 hours and were exhausted. 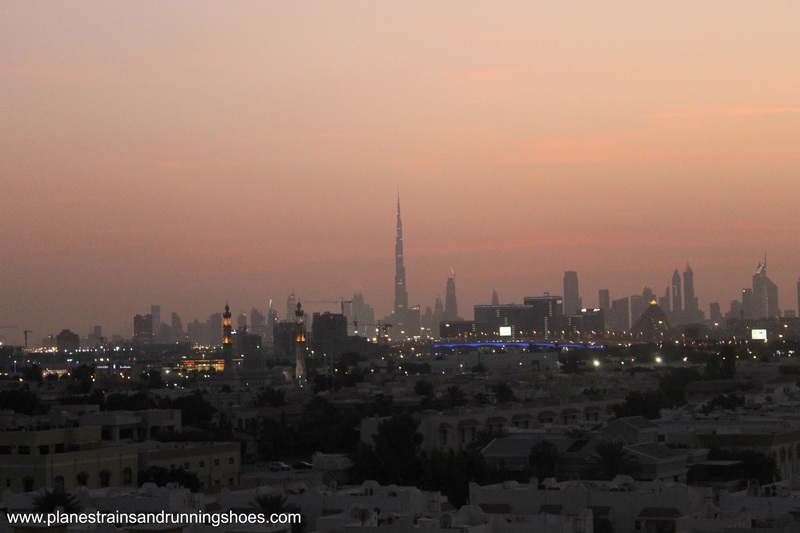 Before heading to bed, we were able to catch this incredible view of the sun setting over Dubai from our hotel's roof. I wish I could tell you that we woke up on Day 2 and seized the day, out to explore at the crack of dawn, but the reality is, that I was exhausted. We lounged around for a good bit of the day before heading into Deira and Old Dubai to wander around. Deira is Dubai's commercial district and sits on the Dubai Creek, across from Old Dubai. The way across is via boat, in tiny little boats called abras that have been used since Dubai was a tiny finishing village without 7-star hotels. 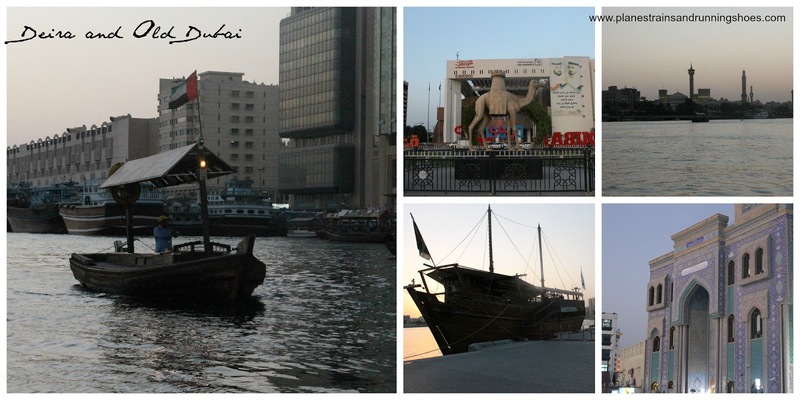 We took an abra across to Old Dubai and spent the evening wandering through the Old Souk and the general area. We left Old Dubai and headed back to the Dubai Mall to san ee the Dubai Fountain show. It was much more crowded than the day before and we found a spot near the Mall and waited for the show to begin. On our final day in Dubai, we did wake up at the crack of dawn and seize the day! We bought tickets to a hop on/hop off tour and spent the entire day seeing every part of Dubai that we could! I've always been slightly skeptical of these tours, but with limited time, this seemed like the best option to really dive in, and it was an exceptional way to do so! Dubai isn't the type of city that you can just walk around and explore. It has much more of the LA feel, where everyone drives, so this was perfect. We went to Palm Island, saw the Burj Al Arab, went to Jumeirah Beach, visited the Financial District...we really just did everything, and had plenty of time to hop on and off and explore. 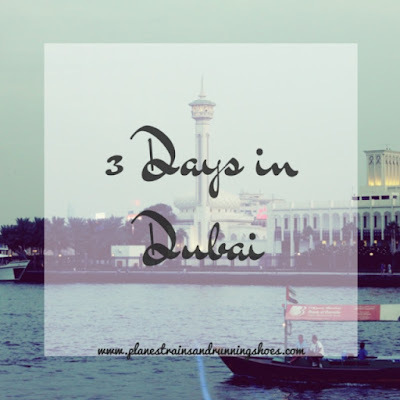 Our flight wasn't until almost midnight, so we had a full day to really see Dubai and it was awesome! In 3 days, we definitely skimmed the surface of the city, but I wouldn't have it any other way. There are cities that you visit and by Day 3, you're ready for a change of scenery, and others that leave you craving more. Dubai definitely fell into the latter and I would love to go back and really dive into Dubai. 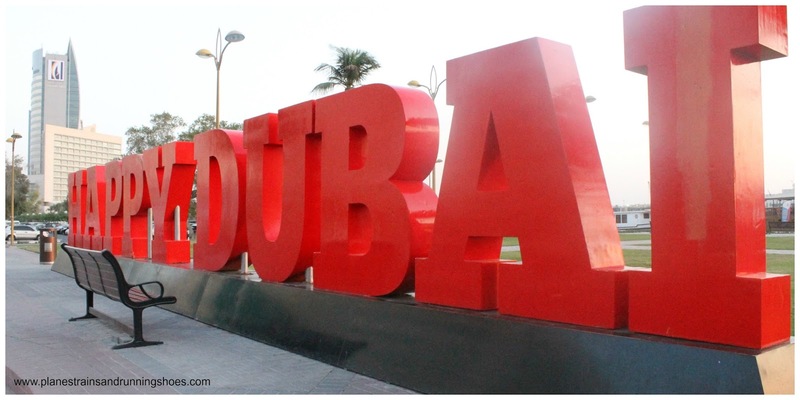 While I was disappointed to see more Shake Shacks, Cheesecake Factories, and TJI Fridays then Middle Eastern restaurants, I was amazed to see just how well Dubai has been able to hold on to their culture while welcoming the western influence. What do you think of Dubai? Would you travel there? If you've already been, what was your favorite thing to see or do? 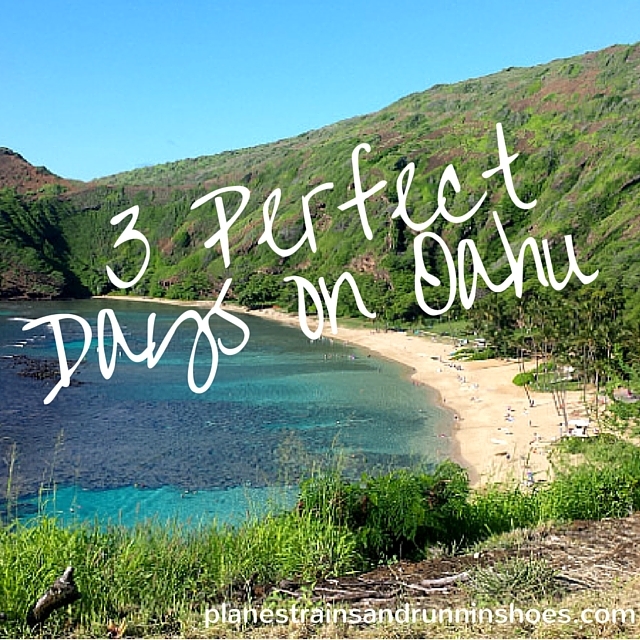 It's been 6 weeks since I came back from Hawaii and I'm finally posting about our last day there. Don't worry, I promise not to wait too long to tell you all about last week's trip to Dubai! Missed my first two posts? Check out Day 1 and Day 2! Just like that, we had come to our final day in Hawaii. Fortunately, our flight wasn't until almost 10pm so we had the whole day ahead of us to explore. Once again, we woke up bright and early (jet lag! ), and Carolann took us to Pearl Harbor to see the USS Arizona Memorial. It was an incredibly moving memorial. Pearl Harbor is considered a living memorial, meaning, the physical memorial is essentially a grave site. The soldiers who died in the USS Arizona still rest beneath the Memorial. It is the most moving memorial I have ever been to and was definitely an emotional experience. After Pearl Harbor, we stopped for breakfast at Bogart's an amazing little place I came across on Yelp. The Pilot had a fried rice breakfast bowl that they're famous for...I had more than few bites because it was incredible! Carolann and I shared an acai bowl and it was incredible! I had never had one before and I'm definitely a fan! 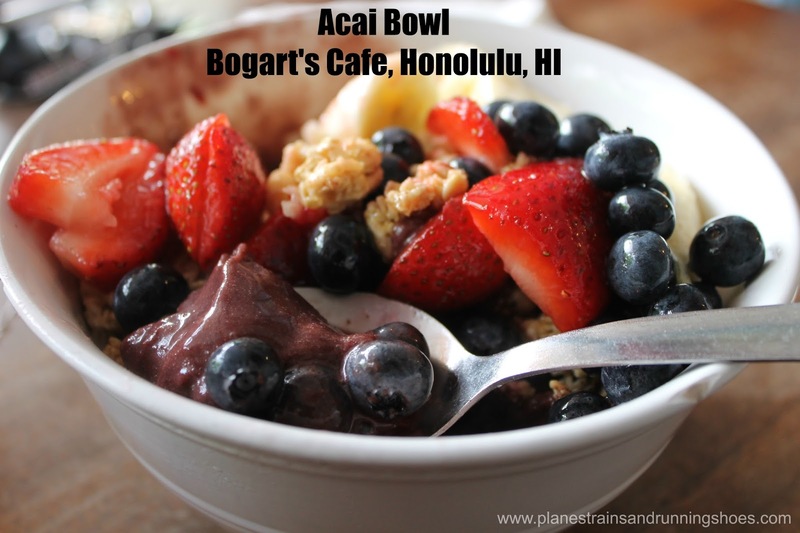 Bogart's was at the base of Diamond Head, which we had plans to hike to the top of. It was hot and steamy that day which made for a serious workout, but the views from the top (and along the hike) were well worth it! 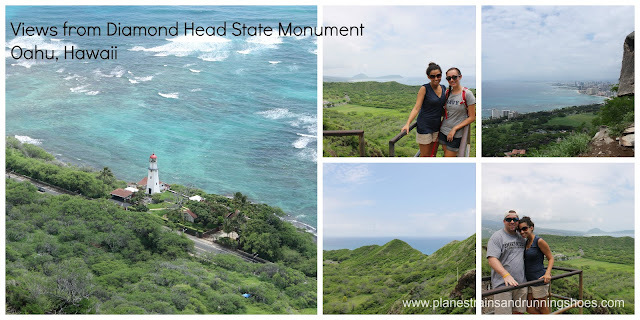 After hiking back down Diamond Head (the way down is much easier than the way up), we made our way to Waikiki Beach. We spent the afternoon swimming and relaxing by the beach before stopping at Leonard's Bakery for some malasadas. These little sugar coated donuts were heaven...and the ones stuffed with lilikoi (passion fruit) made my heart beat a little faster. We brought the malasadas back to Carolann's house and stopped by the Kalapawai Market to grab sandwiches for dinner. We enjoyed dinner, malasadas and some ice cold liquid aloha on Carolann's roof top before sadly making our way to the airport. Everyone told us we were crazy for going to Hawaii for just 3 days but it was well worth it. We had a whirlwind vacation but we were still able to relax, and the trip home was nice and smooth. Would I go back to Hawaii? Absolutely! I would love to explore some other islands! Would I go back to Hawaii for 3 days? Definitely! Short trips seem to be our MO and I love them. You definitely have to cram a lot in, but I think that 3 days is the perfect amount of time to explore any destination! What's the furthest you've traveled for a weekend getaway? Have you been to Hawaii? What's your favorite island? So I went to Dubai last week. Don't worry, I'm sorting through pictures and getting ready to tell you all about it! The trip was certainly a whirlwind and I was so grateful to come home to a staycation! I definitely made the most of my half week at home and I'm ready to tackle the week ahead! 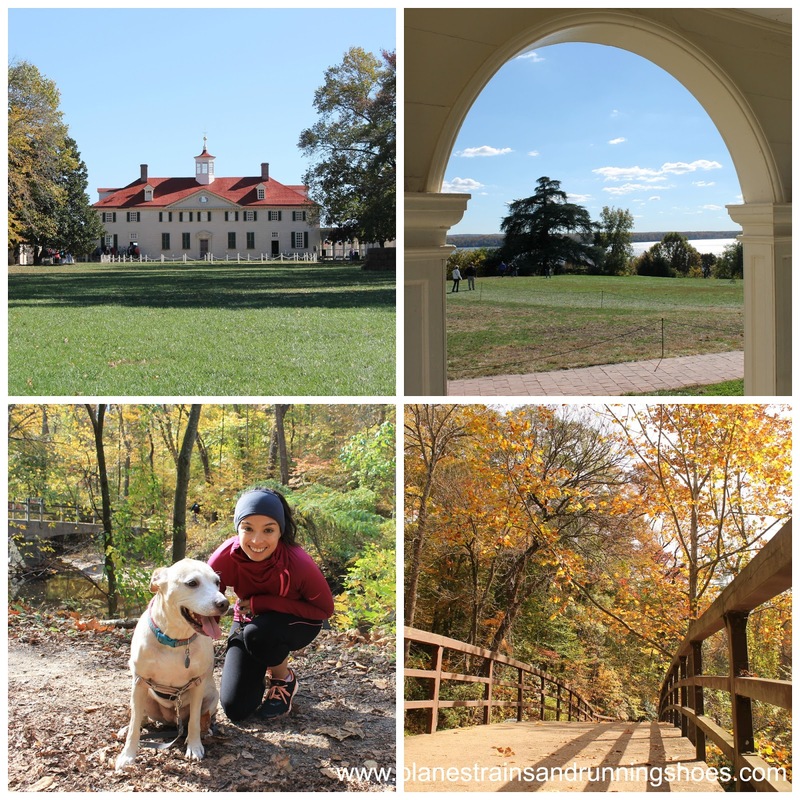 Here's what I did with my staycation! I watched a lot of Netflix. I caught up on the current season of Scandal, watched the latest episodes of Once Upon a Time, watched a lot of The Goldbergs, and basically spent the entire day Wednesday in front of the TV. I finally ran. I hadn't run since the Chicago Marathon but Thursday morning, I laced up my shoes and headed out for 3 easy miles around my neighborhood. I read. I finished The Zookeeper's Wife and started All the President's Men. 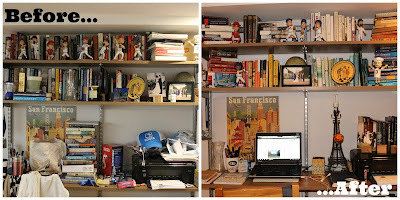 I reorganized my desk/bookshelf area. It had become the landing pad in our apartment and wasn't being used as a desk. It's much cleaner now! 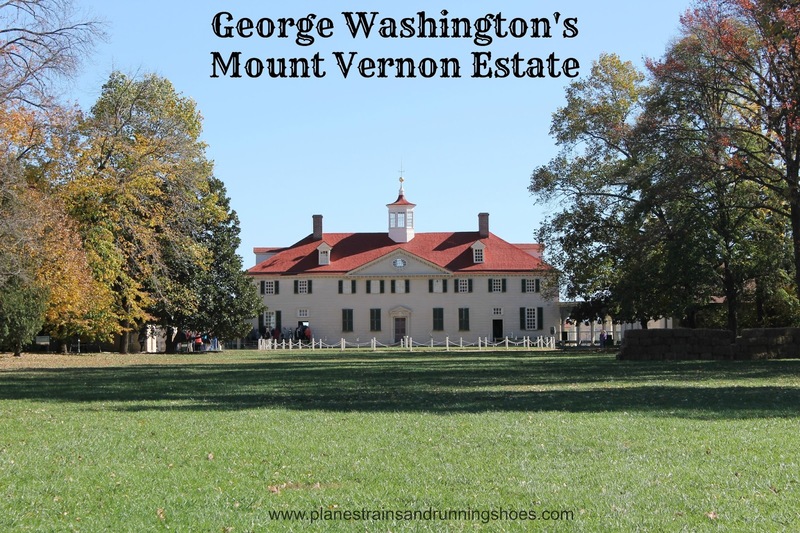 The Pilot and I took a trip to Mount Vernon where we ran into our landlord with her kids and spent the day exploring with them. 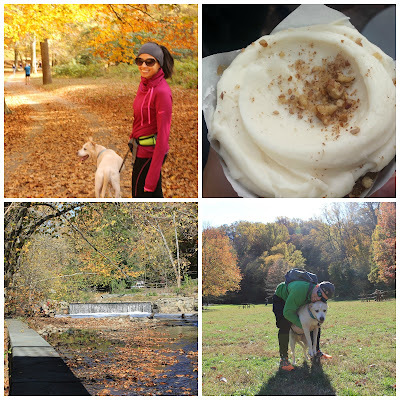 We took Peyton hiking in Rock Creek Park and had cupcakes at Baked and Wired. The foliage in Rock Creek was so pretty that I stopped hating fall for a minute (until I turned my clocks back that night). We watched the World Series. It didn't end well. I made a lattice top apple pie...and crossed another thing off of my 30 before 30 list! I worked on my blog. 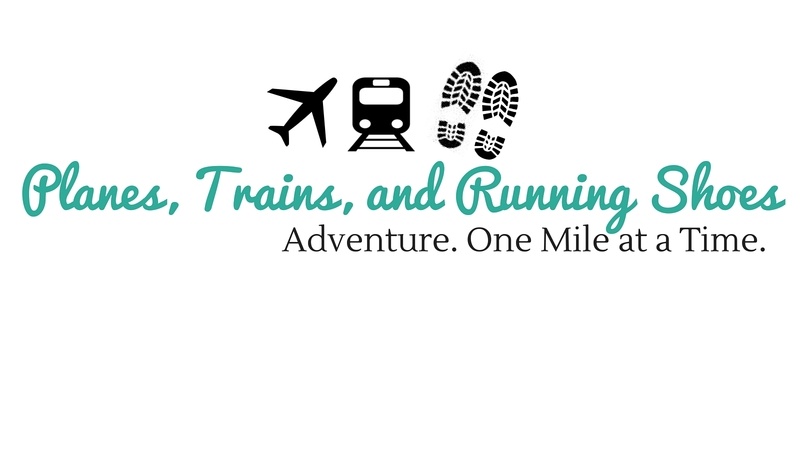 I drafted a lot of posts, pulled together some awesome images, and started working on a new header. I've been toying around with a new header for ages, and after not being able to decide on one, I decided to get your feedback. So, which do you like better? They both need some work, but I would love your feedback! Feel free to make some suggestions as well! What's your favorite way to spend a staycation? Let me know in the comments! I took this past week off from work. The Pilot had some time off so I took the week off so that we could spend some time together. I was in desperate need of a staycation, but I really wanted to take off and go somewhere, so I did both! The Pilot and I hopped on a plane and headed to the UAE for a few days in Dubai, before coming home to a few days of exploring our back yard. 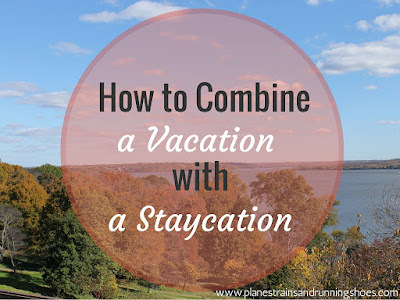 It such an awesome way to spend a week off, that I thought I'd share some tips that might convince you to turn your next week off into vacation/staycation! This is probably very easy for everyone in the world who books travel further out than 24 hours. If you're only taking a week off, you want to go somewhere that you can comfortably visit for 3-4 days. When we were in Hawaii, Carolann took us to the Kailua Library Bookstore and The Pilot came across the Lonely Planet guide to Oman, the UAE, and the Arabian Peninsula. One month of combing through that and our destination was set! We were off to Dubai! The Dubai skyline might be my new favorite! The last thing anyone wants to do on a staycation is clean their house. Before we left, before I started packing, I cleaned every little bit of my house...bathroom, living room, everything. I made a Goodwill pile, I made a recycling pile, I cleaned everything. When I came home, the only thing that needed to be done was the laundry from our trip! 3. Plan a fun house project. 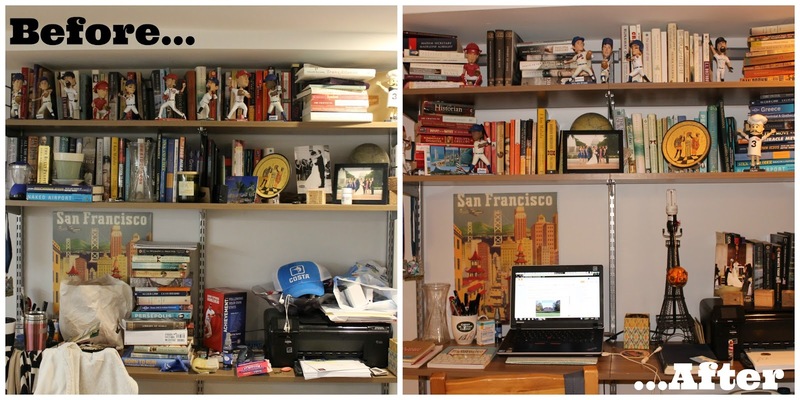 We live in a tiny apartment and my combined bookshelf/desk area was needing some serious love. I had made styling my bookshelves a goal for the month of September, and like everything else on that list (oops), it didn't get done. I knew that I wanted to finally cross this off my list when we came home. It was fun, it was easy, and it makes my house look just a little bit nicer. 4. Pull out your arsenal of local activities. Everyone, no matter where they live, has a list in the back of their mind of places nearby that they haven't been to yet...sights, restaurants, parks, whatever it may be, everyone has one. Your staycation, with your already clean house, is the perfect opportunity to cross some of those things off your list. We didn't really plan what we wanted to do in advance, but when The Pilot and I woke up each morning, we were open to being a little more adventurous with our "What do you want to do today?" conversations. 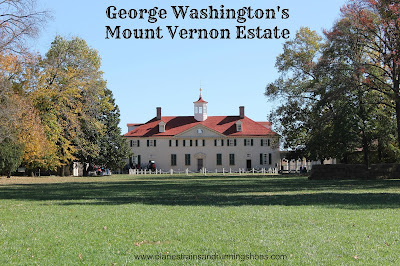 This staycation, we took a trip to The Mount Vernon Estate and went hiking in Rock Creek Park. It's a staycation! Don't forget to relax! The flight from Dubai was 15 hours. We took off Tuesday around midnight and landed around 6:30 am. Somehow, I managed to sleep for 13 of 15 hours on that flight (I had an entire row to myself, it was amazing!) so when we landed, I was well rested and spent the entire day in my nice, clean house, watching Netflix. Even if I hadn't slept on the flight, I would have had all day Wednesday to catch up on sleep and be well rested for my staycation, without having to jump back to work the next day. There you have it! This is how my type A, always-on-the-run self, managed to turn one week into a combined vacation/staycation. It might be my new favorite way to travel! I'm treating today like a normal Sunday - grocery shopping, meal planning, and prepping for the week - and I know that this week was exactly what I needed before heading back to work tomorrow! 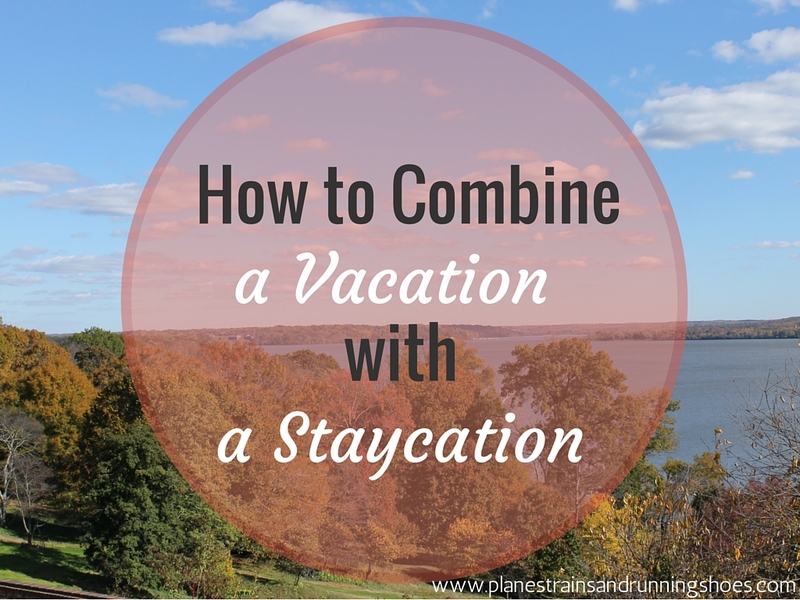 Have you ever taken a combined vacation/staycation? What are your favorite ways to spend a staycation?